Wide range of Batik Handpainted Silk Saree and Batik Saree is available at the reasonable price with Online Naksha. Mulberry silk used to make this Batik painted saree. Full pattern of painting performed in finest manner. The saree is designed with eye catching color combination of black and yellow. Batik work done on the saree in half half manner. Beautiful Nakshi drawing can be seen as painting. 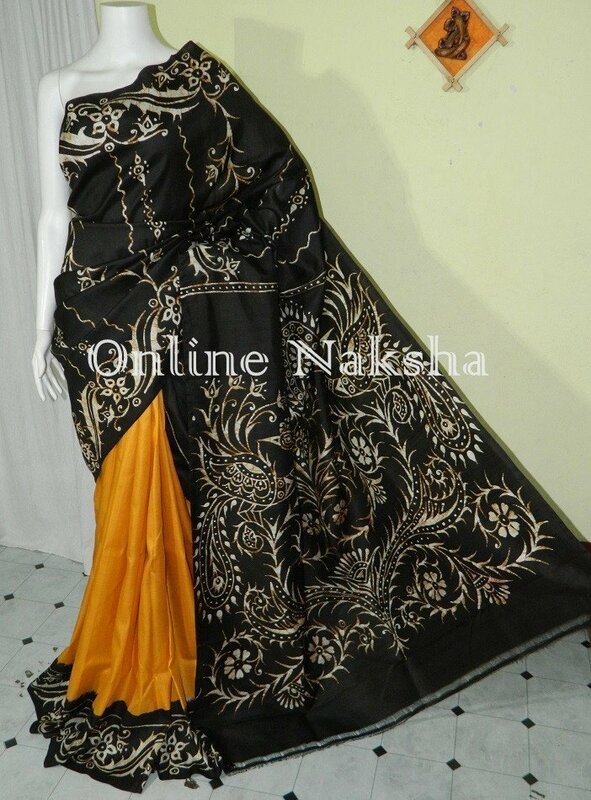 Online Naksha provide Silk Mark certified Batik Handpainted Silk Saree. If you think to have a different ethnic drape then this Batilk Silk is a sneak peak. Order Batik Silk Saree from Online Naksha.